In 2011, Christine Toomey met an unforgettable group of Tibetan Buddhist nuns. After hearing their stories-of prison, extreme hardship, and ultimately fleeing into exile-she resolved to learn more about the private, courageous women of Buddhism: who they are, their experience of suffering, what motivates them to seek enlightenment, and what stands in their way. Toomey's quest took on even greater urgency with the sudden deaths of her father and mother, and her own search for healing wisdom in the aftermath of loss. In Search of Buddha's Daughters introduces us to women from around the world who have come to the ordained life from every faith and career. Toomey meets a Harvard graduate who sometimes breaks into hip-hop moves after meditating, a Japanese nun who has written bestselling erotica, and a Nepalese order of nuns who practice kung fu for spiritual and physical empowerment. 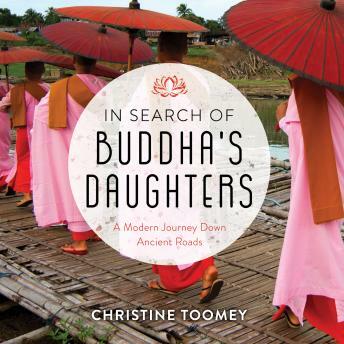 Through insightful conversations with over thirty women, Toomey investigates Buddhism as an antidote to the problems of life in the twenty-first century, and considers the status of women today worldwide, and within one of our oldest wisdom traditions.